A convoy of vehicles made their way through the city today to show support for resource development. 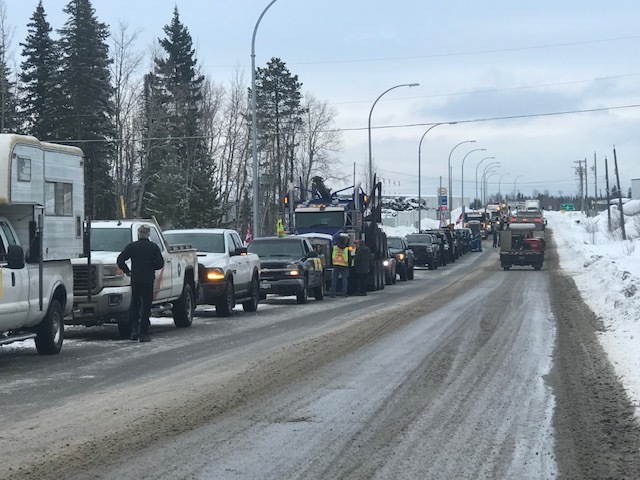 Over 60 vehicles, mostly trucks and semis, met at 9:00 am on Boundary Road, just off of the Yellowhead Highway, before traveling together to the Civic Centre for a rally during the 16th Annual Natural Resources Forum. The forum, which is the largest multi-sector resource conference in Western Canada, hosted Premier John Horgan this afternoon. Dennis Giesbrecht, one of the organizers of the event, said they want let the Premier know that most of BC supports responsible resource development. 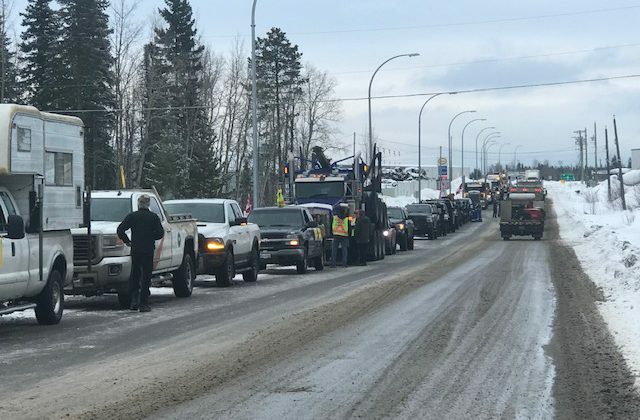 Though some of the trucks were visibly decorated with yellow vests, organizers of the rally made sure to say they are not affiliated with and do not agree with all of the ideals of the Yellow Vest Canada movement. A group of around eight people showed up to the Civic Centre and identified themselves as part of the yellow vest movement, however, said they were only there to support the truck rally. Giesbrecht said the group hoped that Horgan would make an appearance and say a few words, however, he did not.